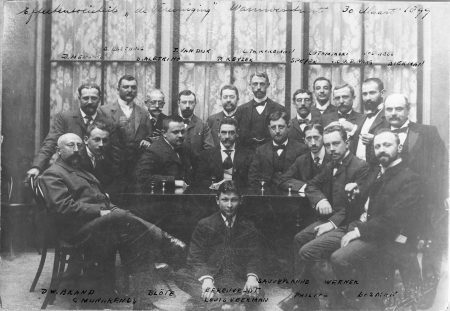 Meeting of members of the Amsterdam Stock Exchange Association in 1899 in the building of the association on the Warmoesstraat. In the late 19th century, the members met here after the exhange was closed. The Amsterdam Stock Exchange Association did not have its own floor in the Beurs van Zocher yet. Securities trading took place amidst commodity trading in an open securities corner, at the columns 33, 34 and 35. With the consent of the government, the Amsterdam Stock Exchange Association (1876-1996) served as the exchange authority in the Netherlands within a system of self-regulation for over a century. It drew up the rules, such as this Reglement voor de Effektenhandel (Regulations for Securities Trading), and it also kept a watch on compliance with these. Memorial plaque issued on the occasion of the 75th anniversary of the Amsterdam Stock Exchange Association in 1951. 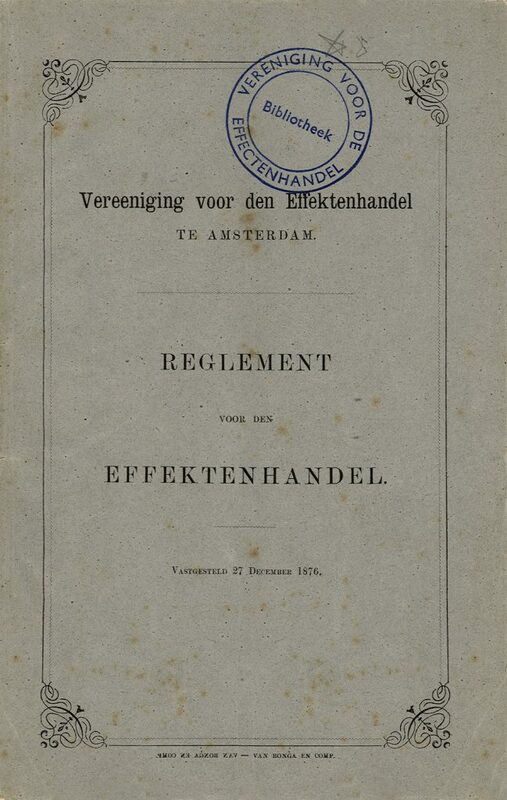 For 120 years, the Vereniging voor de Effectenhandel (Amsterdam Stock Exchange Association) was a decisive factor for securities trading in the Netherlands. 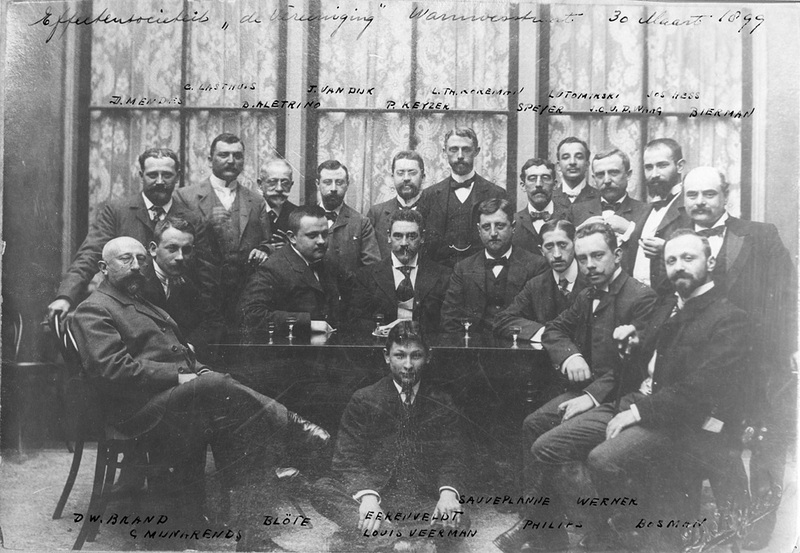 On May 17th 1876 the association was launched as a result of the merger of the Algemeen Beurs-Comité and the Effecten-Sociëteit. 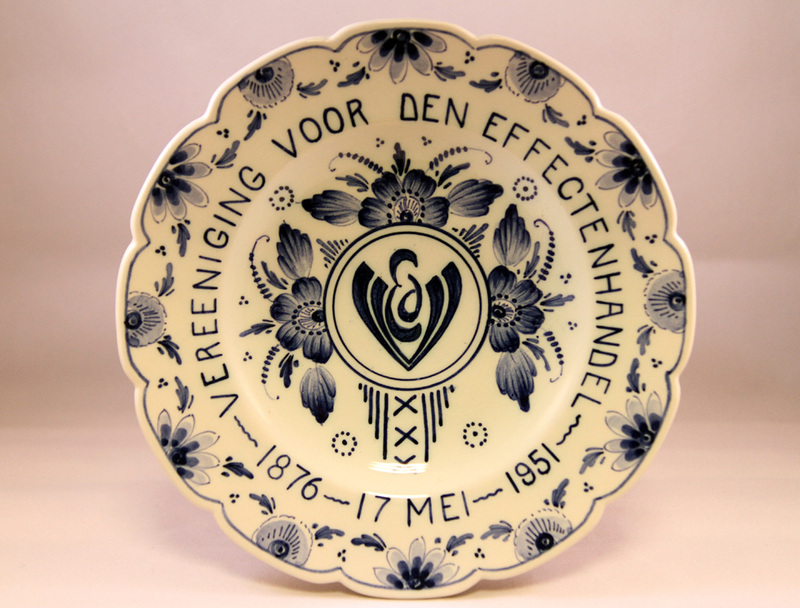 At first, the Vereniging was solely responsible for organizing and maintaining the securities exchange in Amsterdam, which was by far the most important one of the Netherlands. In 1972, an amendment of the statutes enabled the association to operate on a national level. Now, traders outside Amsterdam could also join. Many of them did, which ultimately led to the end of the securities exchanges of Rotterdam and The Hague. 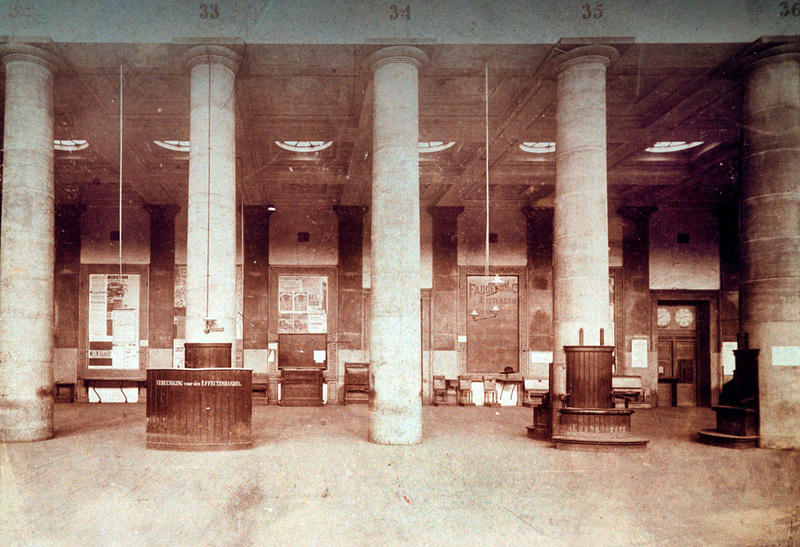 Immediately after the establishment, a private exchange building for securities trading was a top priority. In 1867, when it was decided to replace the Beurs van Zocher, a debate on the requirements for the new stock exchange followed, which continued for many years. The separate securities floor in the Beurs van Berlage that was completed in 1903, ultimately turned out to be inadequate. The Vereniging started to prepare for a private stock exchange building – against the wishes of the municipal authorities – that was completed in 1913: Beursplein 5. In the seventies of the 20th century, the Vereniging took the lead in establishing an options exchange in Amsterdam. This was realized in 1978. The European Options Exchange became an independent association. Along with the options exchange, the Vereniging was also involved in the establishment of the Securities Board of the Netherlands (Stichting Toezicht Effectenverkeer) in 1989. In 1996, the Vereniging and the options exchange association demutualized and merged into a single holding company: Amsterdam Exchanges.